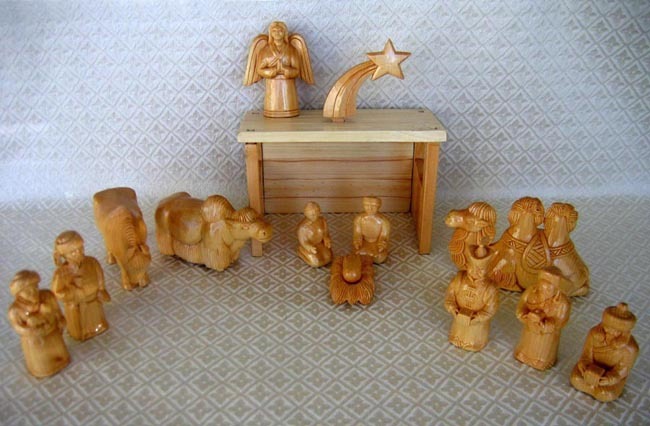 The set contains 12 figures: the Holy Family, two shepherds, one yak, one horse, one camel, an angel, and three wise men. The set also includes a stable and star. The standing figures are 4 inches tall.